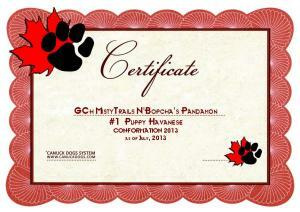 One month of showing and #1 Puppy in Canada. 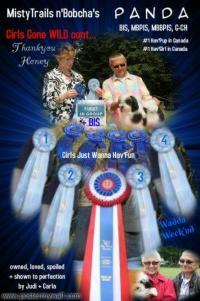 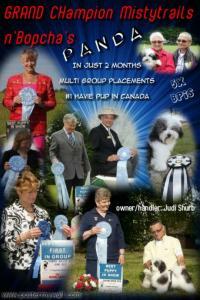 See reults at www.CanuckDogs.com Multiple Group placements, Multiple Best puppy in Shows. 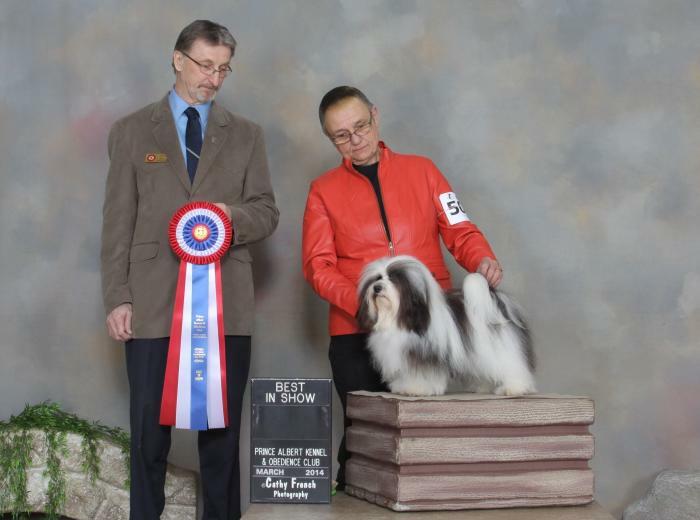 and when younger, Multiple Best Baby Puppy in Shows. 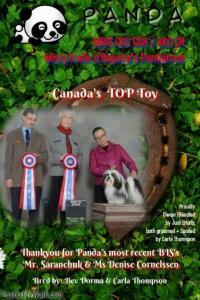 July 2013 she is #9 Puppy in all of Canada - All breeds. 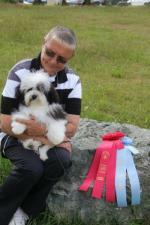 Attained her Grand Championship title by 7 months of age. 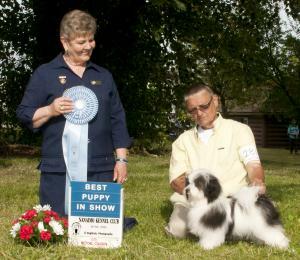 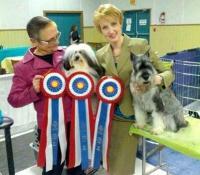 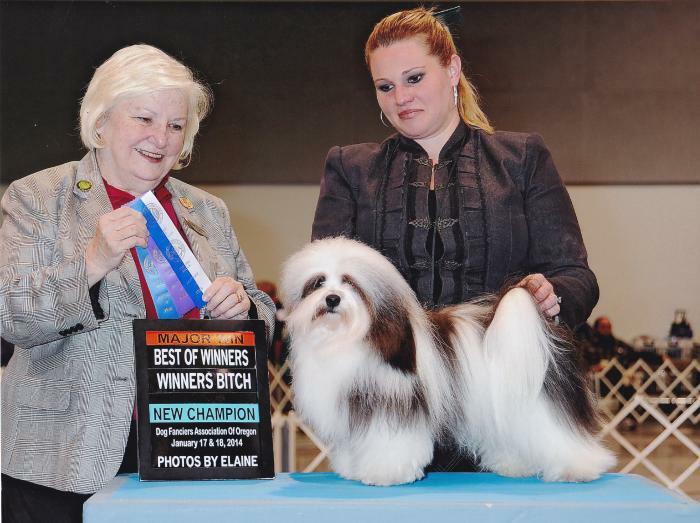 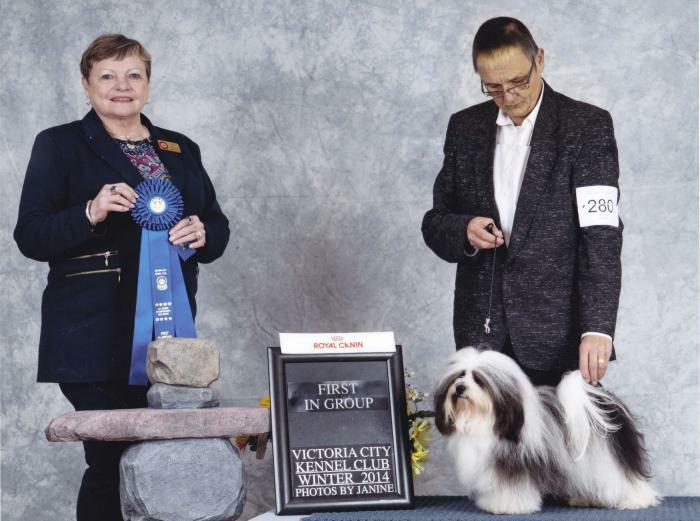 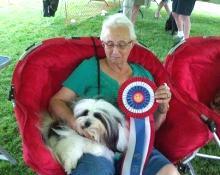 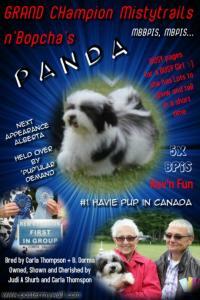 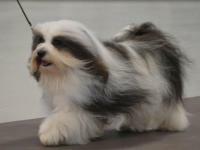 In January 2013 Panda went to the USA to compete and work on her AKC Championship. 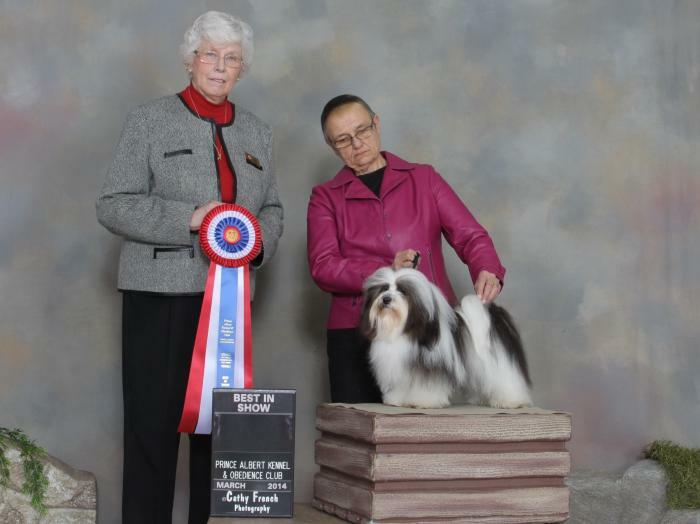 She got 5+5+2+4 points to earn her AKC Championship in just a few shows. 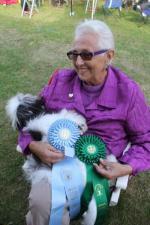 Owner Carla Thompson and Judi Shurb. 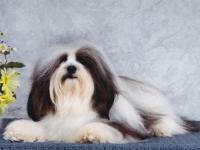 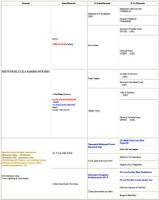 Copyright© 2005, 2006, 2007 Elite Havanese, all rights reserved.